1. Because Christ is one person is no proof the anti-Christ is one as well. 2. 666 is indeed the # of man ( failiure after failure, never reaching perfection ) but its no proof of a "false trinity". 3. 666 is the # of man but no proof the anti- Christ is such. Is it possible the "man of sin" bespeaks a system of unbelief and deception"? 4. Is it possible you have assumed too much? There is to much Scripture that calls the anti-christ a man. The number 666 is of man, but is also the number of the beast (anti-christ). This verse alone tells me the anti-christ is a man. In fact any common sense tells he is just a man. If the Antichrist is alive today, does he know who he is? I think not. I don't think he has the foggiest idea of the role that Satan has in mind for him. He will not become the Antichrist until satan possesses him and empowers him to deceive Europe and the Jews. His full revelation will not occur until he enters the rebuilt Temple in Jerusalem in the middle of the Tribulation and declares himself to be god. Another point that is emphasized repeatedly is that the Antichrist will be possessed by Satan, just as Judas was (Luke 22:3). Daniel says his power will be mighty, "but not by his own power" (Daniel 8:24). Paul says his coming will be "in accord with the activity of Satan, with all power and signs and false wonders" (2 Thessalonians 2:9). John says that Satan will give his power and authority to the Antichrist (Revelation 13: 2). Because he will be demonized, he will be a man who cannot be trusted. Psalm 52:2 says he will be a "worker of deceit." Psalm 55:21 says his speech will be "smoother than butter" but his heart will be filled with war. Psalm 5:6 calls him "a man of bloodshed and deceit." In Psalm 43:1 he is referred to as a "deceitful and unjust man." The overall picture is that of an ego-maniac who abhors God and exploits people for his own purposes. He is deceptive and ruthless. He is a man devoid of integrity. This is probably the reason that when Jesus returns, John characterizes Him as the "Faithful and True" One (Revelation 19:11), in contrast to the Antichrist who has been both unfaithful and untrue. The Rapture of the Church is the event that will launch the career of the Antichrist. This is revealed in 2 Thessalonians 2 where Paul states that the Antichrist cannot be revealed until "he who now restrains" him is "taken out of the way" (verse 7). The restrainer of evil in the world today is obviously the Holy Spirit, and the Spirit performs that task by working through the Church. It is the Church that will be "taken out of the way," not the Holy Spirit. We know this for certain because the book of Revelation teaches that a great multitude will be saved during the Tribulation (Revelation 7:9-14), and no one can be saved apart from the witness of the Spirit (John 6:44, John 15:26, and 1 John 5:7). The Spirit will remain in the world, but the agency the Spirit currently works through to restrain evil, the Church, will be removed. The Rapture itself is likely to be the event that will catapult the Antichrist to power. This is because the Rapture will produce international chaos and panic. The Antichrist, energized by Satan (Daniel 8:24), will seem to have all the answers to the world's problems. He will take over the European Union through skillful intrigue (Daniel 8:23) and will establish his headquarters in Rome (Revelation 17:3,9,18). The world will resist him, and the result will be a Third World War in which he "will destroy to an extraordinary degree" (Daniel 8:24). This war will initially result in the death of one-fourth of humanity, or 1.5 billion (roughly) people in today's terms (Revelation 6:2-8). As the Tribulation approaches its mid-point, this war will escalate into a nuclear holocaust (I believe) that will result in the deaths of an additional one-third of those still alive -- another 1.5 billion (Revelation 8 and 9). It will be a empty victory because in the process of his conquest, one-third of the earth will be destroyed and half its population will be killed. He will then consolidate his "victory" by instituting a one-world economy and a one-world religion. The key to his economic control will be a mark that each person will have to bear on their right hand or on their forehead (Revelation 13:16-18). No one will be able to buy or sell unless they have this mark. The mark will consist of "either the name of the beast or the number of his name" (Revelation 13:18). His religious control will be exercised by a false prophet who will head up his pagan religious system (Revelation 13: 11-15). He will force all of humanity to worship the Antichrist. He will be a deceiver who will astound people with "great signs" that appear miraculous in nature. In order to consolidate this Satanic religious system, the Antichrist will launch a great persecution of all those who have placed their faith in the true God since the Rapture of the Church (Revelation 12:13-17). The result will be a mass slaughter of believers (Revelation 7:9-14). This means that by the mid-point of the Tribulation, the Antichrist will have killed more than half of humanity (1.5 billion in the seal judgments, 1.5 billion in the trumpet judgments, and an undetermined multitude of saints.) It is no wonder that he is referred to in Scripture as "the man of lawlessness" and "the son of destruction" (2 Thessalonians 2:3). Nor will all this slaughter satisfy his blood thirst. About the time that the Antichrist has consolidated his world empire, Satan will be cast from Heaven and will come to earth in "great wrath, knowing that he has only a short time" (Revelation 12:12). At that point he will possess the Antichrist, even as he possessed Judas (Luke 22:3). When the Antichrist becomes Satan incarnate, (Start of the Great Tribulation) he will become a megalomaniac tyrant obsessed with two things: himself and the Jewish people. He will suddenly march into the rebuilt Temple in Jerusalem, stop the sacrifices, blaspheme God, and declare himself to be the one and only true god (Daniel 9:27 and 2 Thessalonians 2:4). And when the Jews reject this horrible blasphemy, he will turn on them and seek to annihilate them. This will be his all-consuming passion during the second half of the Tribulation. That's why Jesus told the Jews that this period of time would be the "great tribulation" (Matthew 24:21) -- not because it would be worse than the first half, but because the wrath would be focused upon them as a nation and a people. John confirms the fate of the Antichrist in Revelation when he says that both the Antichrist and the False Prophet will be thrown into "the lake of fire which burns with brimstone" (Revelation 19:20) where "they will be tormented day and night forever and ever" (Revelation 20:10). This means that the Antichrist and the False Prophet will be the first occupants of Hell. (Satan will not be confined there until the end of the Millennium -- Revelation 20:10). The good news for believers is that we will not have to experience the horror of the Antichrist. We are never told to watch for the Antichrist; rather, we are told to look for Jesus Christ. In 1 Thessalonians 1:10 we are assured that we who are believers are waiting for Jesus to return to "deliver us from the wrath to come." That is a glorious promise. That's why Paul calls the Rapture our "blessed hope" (Titus 2:13), and its also the reason that he tells us to "comfort one another" with the promise of the Rapture (1 Thessalonians 4:18). But you know what, I'm not worried about the anti-christ because I won't be here. Until something is reavealed in scriptural teaching I subscribe to the thought that it is the string of popes and the system over which he presides. More seems to fit than anything else I've read or heard. The Greek characters for 666 is the exact same Arabic characters for Bismallah (in the name of Allah). It is tradition in some muslim tribal areas to make non-muslims under their control to be marked on the back of their right hand in order to be able to conduct any kind of business. This means that they are paying a tax called jizya for that privilege. The koran's end times teaching is the total opposite of the Bible. A person called Mahdi (Arabic meaning "The Guided one" or "Rightly guided") and a prophet called Isa (Arabic equivalent of Jesus) will rule the world and islam will be the only religion recognized in the world. This Mahdi will reinstate the Caliphate. A Caliphate is a group of ten imams (rulers) that will serve the Mahdi. Great summary, Shammu. The only point I might disagree with you on is that the "desire of women" is usually considered to be "becoming the mother of the Messiah", so this wouldn't particularly refer to sexual immorality, only that he has no regard for Christ. He may well be sexually immoral, but I don't think this passage refers to that. I might also add that it would seem that in the early years of the tribulation, technological civilization as we know it is largely destroyed. This is logical considering the wars and natural disasters taking place. People don't realize how fragile our civilization is and how dependent on cheap and easily available energy and on unhindered transportation. But notice that the battle of Armageddon takes place with horses and wooden weapons! Not with unmanned drones, tanks, aircraft, etc. Responding to soldier4christ, it seems all of the monotheistic religions are looking forward to the return of a savior and end times. This makes them extremely vulnerable to being misled and falling for the antichrist. So he will find it fairly easy to become a religious leader as well as a political one. I don't think he will be Islamic, but most likely of Jewish origin if he claims to be Messiah. I doubt the popes have much to do with it, unless there is a big turnaround in the Catholic church. The Catholic church is pretty much on the ropes at present. Of course, the collapse of the EU (increasingly likely) might bring them into power, as the collapse of Rome did. These verses would seem to show that the Antichrist is of Jewish origin (God of his fathers, desire of women (Messiah)). I doubt he is a practicing Jew - if he actually worships anything besides himself, it is military power (god of forces or fortresses). The "mark of the beast" is most likely just that, not a social security number or implanted chip, as the technology for those things will be largely destroyed. 1. We are headed for a major economic collapse. Though things have turned around temporarily, that only gives the politicians an excuse not to deal with the problems. A worldwide economic collapse will have people looking for a man to turn things around, and will force nations to yield to him. 2. Genetic engineering has us on the verge of irreversibly altering God's creation. God will let this go for awhile to show us what horrors we are capable of creating (Rev. 9: 1 - 11? ), then He will pull the plug on modern technological civilization. 4. The world seems to be moving in two opposite directions. On one level, it is consolidating towards one world government, with more and more power in the hands of an elite and less and less in the hands of the people. On the other, it is fragmenting into smaller nations and even tribal groups who refuse to answer to others. Even in the US you can see that, with the growth of the Tea Party, States Rights movement, etc while the government, especially the executive, continues to consolidate more and more power in its own hands. Eventually the situation will result in anarchy, a golden opportunity for the antichrist to take control on grounds of restoring order, national security, etc. Although the dominate race in islam are the Arabs, islam/muslim is not a race. There are muslims of all different races. It is difficult to understand a person of Jewish decent being a muslim but it has happened and quite frequently. As a fact there is an organization called Jews For Allah. This group rejects the Torah and holds the koran up as the only holy book. This is not the only such group of Jews either that are bowing down to islam. How many people do we see today that claim to be Christian or Jew that also claim they all worship the same god as the muslims, that Allah and the God of Abraham are the same? There are many people that will not bow down to anyone or anything. For people to bow down and worship the Anti-Christ many will have to be forced to do so. Which organization forces conversion? The Anti-Christ most likely won't be religious but he will surely use religion to his benefit since he will claim to be god. In the religious arena, a false prophet will arise. In the political arena, the Anti-Christ will arise. The false prophet will help the Anti-Christ to gain power. Yes, I think that the time is soon for the Tribulation Period to be ushered in. I also believe that the Rapture is growing near. "God has not appointed us for wrath".......namely His wrath. I think that it is therefore crucial to identify where God's wrath begins. As the "Tribulation Period" and "Great Tribulation Period" are not found in Scripture......but are man-made expressions.......they are additions to Scripture. I prefer not to use them. Daniel's 70th week is all that can be used to describe the final seven years.......and some of it most certainly shares some events with the 7 Seals of Revelation. Revelations was given by Christ through John and addressed to the Church. The 70 weeks prophecy was given to Daniel in response to his intercession for his people Israel. He was asked how long the punishment would last.....how long God would hide His face from Israel. By strictly adhering to the proper terms.......you will not get misled by prophetic Scripture that might include the word tribulation. It should just be read in it's normal sense......a time of great trouble.......the length of which is not specified. Mark 13:27 "from the farthest part of earth to the farthest part of heaven." Incorrect Translation........"Immediately after the final seven years of Daniel's 70th week......."
As there is no Tribulation Period defined as such in Scripture.....you must translate translate the word "tribulation" as a time of great trouble........period. There is no Pre-Trib, Mid-Trib, or Post-Trib. While Christ opens all 7 Seals of Revelation........the first 5 Seals of Revelation are part Satan's wrath......expressed through humans. The persecution described in the 5th Seal and Rev. Chp 12 is ended by God after a period of time........"otherwise no flesh would be saved." Then the whole world goes dark for an unspecified period of time. The great ones of the world hide in fear in caves. They know that God's wrath is about to begin. This is stated in a very clear manner......please take note. God is not the author of confusion. Then the 144,000 of Israel are sealed from harm. They will remain on earth. They are not sealed from harm prior to the First Seal........but just prior to the 7th Seal. Also.......a great multitude from all the nations is discussed standing in heaven. They can wear robes and have palm branches in their hands. These are the Gentile believers in Christ who have been caught up by angels. The parallel section was discussed in Mt. 24. For the "rapture".......you do not just disappear. That is a human addition to Scripture. You are actually caught up by the angels to be with your Lord. Then you have God's wrath.......as described in the 7th Seal. The 5th trumpet judgment by itself is 5 months in duration. In terms of Daniel's 70th week..........you will have the 3rd (day's wages for a loaf of bread) and 4th Seals before the mid-point. The midpoint is the man of evil's persecution of first the Jews.......and then their offspring (the Gentile believers in Christ) (Rev 12). This time of Jacob's trouble from the mid-point will go on a few years or so.......and God will end it. Then the world will go dark for an unspecified period of time. Then the Day of the Lord and His wrath will be announced. Then the Sealing and the "Rapture." Then God's wrath......7th Seal........approx. the final 1.5 years of Daniel's 70th week. During the 7th Seal we will be with the Lord.....for the marriage supper of the Lamb. We will then return from the sky on white horses with Him........and He will destroy His enemies with a Word from His mouth. Then the Millennial kingdom will be ushered in with Christ as King of the world and David as prince over his people Israel. The Saints will be involved in many things. Not only are we described in Scripture as His children.......but we are also incredibly described as co-heirs with Christ. We will be priests......serve as judges.....and probably have many other responsibilities as well. After the 1,000 years, Satan will be released for a short time and there will be one final battle. Then God will burn up the earth and create a new one. And we will be forever with the Lord. To my knowledge.......the Pre-Trib position views all of the 7 Seals as God's wrath......and that the rapture takes place prior to the First Seal. However, if you see a day's wages for a loaf of bread in your lifetime......on a worldwide basis......you will know that you are at the 3rd Seal. 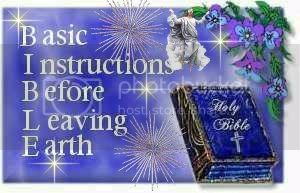 Remember............the Lord says to flee to the wilderness at the 5th Seal. Have faith......He would not tell you to flee to the wilderness just to have you starve there. The main thing is to be far away from other humans. Jesus: "Take heed; see, I have told you all things beforehand." "Yea, though I walk through the valley of the shadow of death, I will fear no evil; for You are with me." The Bible is clear. Those who are in Christ will be raptured before the tribulation. To say otherwise, is calling God a liar. Calling God a liar depends on which interpretation is true! I also think the time is soon Rhys. Until then keep looking up!! I think we have a little ways to go still. Maybe the 30's or 40's. You might be right - nobody knows. However, we can say that there are signs around the world indicating that the world is ripe for Bible Prophecy to be fulfilled. Another fact to consider in the opinion of many is that the Rapture is not necessarily tied to the Tribulation Period. The fulness of the Gentiles pertains to the Church which is the Body of Christ. I realize that there are various opinions on this, but I believe there is one time table for the Church and one time table for Israel and the Tribulation Period. When God's perfect number is reached for the Church, there is no longer any reason to leave the Church on the earth. The Tribulation Period was determined against Israel, not the Church which is the Body of Christ. Many errors are made in confusing the two entities: Israel and the Church which is the Body of Christ. On this subject, the Church did not replace Israel and separate promises were made to each entity that will be kept perfectly. Many people also confuse the great number who will be saved during the Tribulation Period with the Church which is the Body of Christ. OK........please show me the Scriptures that defines "The Tribulation Period" as a seven year period and the same thing as Daniel's 70th week........as you state that the "rapture" occurs before "the tribulation." There is actually a warning at the end of the book of Revelations about adding to the prophecy or taking things out. There is no biblical support for the Church......the gentile believers in Christ......to be raptured out prior to Daniel's 70th week. Daniel's 70th week is for Israel......the final seven years of which God will hide His face from them......for grievous sins that took place a long time ago. The only thing possibly associated with the beginning of Daniel's 70th week is the "covenant with death".......a false peace treaty between the leadership of Israel and the son of perdition. He does not begin his persecution of the Jews until the mid-point of Daniel's 70th week. The 144,000 of Israel are sealed from harm just prior to God's wrath......just prior to the 7th Seal of Revelation. They are not sealed from harm prior to the 1st Seal........nor is there any evidence that they are sealed from harm just prior to the beginning of Daniel's 70th week. All students know that Daniel's weeks are weeks of years and we're waiting for the 70th week to begin. That would be the final week equaling 7 years. We're living right now between the 69th and 70th week, as the prophetic clock is stopped right now. It is a difficult study, but the above is most obviously true - a Bible fact. Other Bible facts can be derived from this 7 year period of time once it starts. Again, all students of Bible Prophecy would know this. Examples: the abomination of desolation, the Second Coming of Christ, and much more. You can read all about it in numerous highly detailed threads already on the forum, so there is no sense in covering the same ground again. All sides have argued their positions, so there is nothing new to argue. The varying sides with different opinions have all agreed on the Bible Facts. The differences regarded timing and sequence of events - the Rapture being the primary issue of disagreement. There IS most definitely Biblical support for at least 3 opinions about the timing and sequence of the Rapture: Pre-Tribulation, Mid-Tribulation, Post-Tribulation. I personally believe that the preponderance of evidence points to a Pre-Tribulation Rapture. Yes, there is Biblical support for this opinion and others. I have no problem in disagreeing with you, but I also have no plans to restate the case or argue the issue some more. You don't have anything new to argue with and neither do I, so we can agree to disagree. The only view I have a big problem with is the Preterist. All Bible Prophecy has most obviously NOT been fulfilled yet. To say otherwise would be to deny a large part of the Holy Bible and call God a liar.